First Team Truck Center is your place for quality used pickup trucks, SUV’s, and custom trucks. Plus we carry a full line of custom truck accessories…and we install what we sell! Whether you need a good work truck or a truly custom truck that really stands out, First Team Truck center has the used truck inventory to fit your needs. Located just up Peters Creek Road from The First Team Used Car Super Center, The First Team Truck Center features a wide variety of king cab, standard cab, extended cab and crew cab trucks. Want a lift kit? First Team has lift kits and installs them on site! When you need a good used truck with a warranty, come to First Team Truck Center. 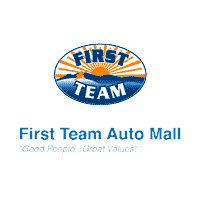 First Team Truck Center is located just down the street from our Used Car Super Center at 6609 Peters Creek Road. Phone 504-362-4800. Vortec 5.3L V8 SFI Flex Fuel, 4-Speed Automatic with Overdrive, 4WD, Light Titanium/Dark Titanium w/Premium Cloth Seat Trim, 17" x 7.5" 6-Lug Chrome-Styled Steel Wheels, 6 Speaker Audio System Feature, 6 Speakers, ABS brakes, Air Conditioning, AM/FM radio: XM, AM/FM Stereo w/MP3 Compatible CD Player, Black Power-Adjust Heated Outside Mirrors, Body-Colored Bodyside Moldings, Bodyside moldings, Bumpers: chrome, CD player, Chrome Grille Surround, Color-Keyed Carpeting w/Rubberized Vinyl Floormats, Compass, Delay-off headlights, Driver & Front Passenger Vanity Mirror Visors, Driver door bin, Driver vanity mirror, Driver-Side Manual Lumbar Control Seat Adjuster, Dual front impact airbags, Electronic AutoTrac Transfer Case, Electronic Cruise Control w/Set & Resume Speed, Electronic Stability Control, Front 40/20/40 Split-Bench Seat, Front anti-roll bar, Front Center Armrest w/Storage, Front reading lights, Front wheel independent suspension, Fully automatic headlights, Heated door mirrors, Illuminated entry, Leather-Wrapped Steering Wheel, Low tire pressure warning, Occupant sensing airbag, Outside temperature display, Overhead console, Panic alarm, Passenger door bin, Passenger vanity mirror, Power Door Locks, Power door mirrors, Power steering, Power windows, Power Windows w/Driver Express-Down, Premium Cloth Seat Trim, Radio data system, Rear Access Door Power Windows, Rear reading lights, Rear step bumper, Remote keyless entry, Security system, Solar-Ray Deep-Tinted Glass, Spare Tire Lock, Speed control, Split folding rear seat, Tachometer, Tilt steering wheel, Traction control, Variably intermittent wipers, Voltmeter, XM Radio. Odometer is 19211 miles below market average! Visit us online at www.firstteamnissannrv.com. Good People, Great Values! 16" x 7J+30 Style Steel Wheels, 4.100 Axle Ratio, 7 Speakers, ABS brakes, Air Conditioning, AM/FM radio: SiriusXM, AM/FM/CD w/7 Speakers, Anti-whiplash front head restraints, Brake assist, CD player, Driver door bin, Dual front impact airbags, Dual front side impact airbags, Electronic Stability Control, Fabric Seat Trim, Front anti-roll bar, Front Bucket Seats, Front Center Armrest, Front reading lights, Front wheel independent suspension, Illuminated entry, Low tire pressure warning, MP3 decoder, Occupant sensing airbag, Overhead airbag, Overhead console, Passenger door bin, Passenger vanity mirror, Power door mirrors, Power steering, Power windows, Rear step bumper, Speed-sensing steering, Split folding rear seat, Tachometer, Telescoping steering wheel, Tilt steering wheel, Traction control. Odometer is 17534 miles below market average! Awards: * ALG Best Residual Value * 2012 KBB.com Best Resale Value Awards Visit us online at www.firstteamnissannrv.com. Good People, Great Values! 4WD, 3.357 Axle Ratio, 4-Wheel Disc Brakes, 6 Speakers, ABS brakes, Air Conditioning, Alloy wheels, AM/FM radio: SiriusXM, AM/FM/CD w/6 Speakers, Anti-whiplash front head restraints, Bumpers: body-color, CD player, Cloth Seat Trim, Driver door bin, Driver vanity mirror, Dual front impact airbags, Dual front side impact airbags, Electronic Stability Control, Front anti-roll bar, Front Bucket Seats, Front Center Armrest, Front reading lights, Front wheel independent suspension, Illuminated entry, Low tire pressure warning, MP3 decoder, Occupant sensing airbag, Overhead airbag, Overhead console, Panic alarm, Passenger door bin, Passenger vanity mirror, Power door mirrors, Power steering, Power windows, Radio data system, Rear step bumper, Rear window defroster, Remote keyless entry, Speed control, Speed-sensing steering, Split folding rear seat, Steering wheel mounted audio controls, Tachometer, Tilt steering wheel, Traction control, Variably intermittent wipers, Voltmeter. Odometer is 27340 miles below market average! Visit us online at www.firstteamnissannrv.com. Good People, Great Values! 2015 COLORADO LT** CREW CAB, 4 WHEEL DRIVE, AUTOMATIC, 4WD, 4-Wheel Disc Brakes, 6-Speaker Audio System Feature, ABS brakes, Air Conditioning, Bumpers: body-color, Cloth Seat Trim, Compass, Delay-off headlights, Driver 4-Way Power Seat Adjuster, Driver door bin, Driver vanity mirror, Dual front side impact airbags, Electronic Stability Control, Emergency communication system, Exterior Parking Camera Rear, Front anti-roll bar, Front Bucket Seats, Front Center Armrest, Front reading lights, Front wheel independent suspension, Fully automatic headlights, Illuminated entry, Low tire pressure warning, Occupant sensing airbag, Outside temperature display, Overhead airbag, Overhead console, Panic alarm, Passenger door bin, Passenger vanity mirror, Power door mirrors, Power driver seat, Power steering, Power windows, Premium audio system: Chevrolet MyLink, Radio data system, Radio: AM/FM/SiriusXM w/Chevrolet MyLink, Rear reading lights, Rear seat center armrest, Rear step bumper, Remote keyless entry, Security system, SiriusXM Satellite Radio, Speed control, Speed-sensing steering, Steering wheel mounted audio controls, Tachometer, Telescoping steering wheel, Tilt steering wheel, Traction control, Trip computer, Variably intermittent wipers. Awards: * 2015 KBB.com Best Resale Value Awards Visit us online at www.firstteamnissannrv.com. Good People, Great Values! Recent Arrival! NAVIGATION, 10 Speakers, 4-Wheel Disc Brakes, ABS brakes, Adjustable pedals, Air Conditioning, Alloy wheels, AM/FM radio, Audio memory, Auto-dimming door mirrors, Auto-dimming Rear-View mirror, Automatic temperature control, Brake assist, Bumpers: chrome, Chrome Exterior Mirrors, Compass, Delay-off headlights, Driver door bin, Driver vanity mirror, Dual front impact airbags, Dual front side impact airbags, Electronic Stability Control, Emergency communication system, Exterior Mirrors Courtesy Lamps, Exterior Mirrors w/Heating Element, Exterior Mirrors w/Memory, Exterior Mirrors w/Supplemental Signals, Front anti-roll bar, Front Center Armrest w/Storage, Front dual zone A/C, Front fog lights, Front reading lights, Front wheel independent suspension, Fully automatic headlights, Garage door transmitter, Heated door mirrors, Heated front seats, Heated steering wheel, Illuminated entry, Leather steering wheel, Leather Trim 40/20/40 Bench Seat, Low tire pressure warning, Memory seat, Occupant sensing airbag, Outside temperature display, Overhead airbag, Overhead console, Panic alarm, Passenger door bin, Passenger vanity mirror, Pedal memory, Power door mirrors, Power driver seat, Power passenger seat, Power steering, Power windows, Radio data system, Radio: Uconnect 8.4A AM/FM/BT/Access, Rear anti-roll bar, Rear seat center armrest, Rear step bumper, Remote keyless entry, Security system, Speed control, Split folding rear seat, Steering wheel mounted audio controls, Tachometer, Tilt steering wheel, Traction control, Trip computer, Turn signal indicator mirrors, Uconnect Access Advantage, Variably intermittent wipers, Ventilated front seats, Voltmeter. Awards: * Motor Trend Truck of the Year * Ward's 10 Best Engines * NACTOY 2013 North American Truck of the Year Visit us online at www.firstteamnissannrv.com. Good People, Great Values! ****CERTIFIED PRE OWNED****Recent Arrival! 4WD, 3.357 Axle Ratio, 4-Wheel Disc Brakes, 6 Speakers, ABS brakes, Air Conditioning, Alloy wheels, AM/FM radio: SiriusXM, AM/FM/CD w/6 Speakers, Anti-whiplash front head restraints, Bumpers: body-color, CD player, Cloth Seat Trim, Driver door bin, Driver vanity mirror, Dual front impact airbags, Dual front side impact airbags, Electronic Stability Control, Front anti-roll bar, Front Bucket Seats, Front Center Armrest, Front reading lights, Front wheel independent suspension, Illuminated entry, Low tire pressure warning, Occupant sensing airbag, Overhead airbag, Overhead console, Panic alarm, Passenger door bin, Passenger vanity mirror, Power door mirrors, Power steering, Power windows, Radio data system, Rear step bumper, Remote keyless entry, Speed control, Speed-sensing steering, Split folding rear seat, Steering wheel mounted audio controls, Tachometer, Tilt steering wheel, Traction control, Variably intermittent wipers, Voltmeter. Nissan Certified Pre-Owned Details: * Vehicle History * Transferable Warranty (between private parties) * Roadside Assistance * 167 Point Inspection * Limited Warranty: 84 Month/100,000 Mile (whichever comes first) from original in-service date * Warranty Deductible: $50 * Includes Car Rental and Trip Interruption Reimbursement Visit us online at www.firstteamnissannrv.com. Good People, Great Values! Priced below KBB Fair Purchase Price! 4WD, 10 Speakers, 3.357 Axle Ratio, 4-Wheel Disc Brakes, ABS brakes, Air Conditioning, AM/FM radio: SiriusXM, Anti-whiplash front head restraints, Auto-dimming Rear-View mirror, Automatic temperature control, Bumpers: body-color, CD player, Compass, Delay-off headlights, Driver door bin, Driver vanity mirror, Dual front impact airbags, Dual front side impact airbags, Electronic Stability Control, Exterior Parking Camera Rear, Front anti-roll bar, Front Bucket Seats, Front Center Armrest, Front dual zone A/C, Front fog lights, Front reading lights, Front wheel independent suspension, Fully automatic headlights, Heated Front Bucket Seats, Heated front seats, Illuminated entry, Low tire pressure warning, MP3 decoder, Navigation System, Occupant sensing airbag, Outside temperature display, Overhead airbag, Overhead console, Panic alarm, Passenger door bin, Passenger vanity mirror, Power door mirrors, Power steering, Power windows, Premium Cloth Seat Trim, Radio data system, Radio: Rockford Fosgate Premium Audio System, Rear Parking Sensors, Rear step bumper, Remote keyless entry, Security system, Speed control, Speed-sensing steering, Split folding rear seat, Steering wheel mounted audio controls, Tachometer, Tilt steering wheel, Traction control, Trip computer, Variably intermittent wipers, Voltmeter, Wheels: 16" Off-Road Design Machine-Finish Alloy. Odometer is 17181 miles below market average! Visit us online at www.firstteamnissannrv.com. Good People, Great Values! Recent Arrival! BLUETOOTH, ONE OWNER, 2 KEYS, 4WD, 3.55 Axle Ratio, 4 Speakers, 4-Wheel Disc Brakes, ABS brakes, Air Conditioning, Alloy wheels, AM/FM radio, Bumpers: chrome, CD player, Cloth 40/20/40 Front Seat, Compass, Delay-off headlights, Driver door bin, Driver vanity mirror, Dual front impact airbags, Dual front side impact airbags, Electronic Stability Control, Front anti-roll bar, Front Center Armrest w/Storage, Front fog lights, Front reading lights, Front wheel independent suspension, Fully automatic headlights, GVWR: 7,350 lbs Payload Package, Illuminated entry, Low tire pressure warning, MP3 decoder, Occupant sensing airbag, Outside temperature display, Overhead airbag, Overhead console, Panic alarm, Passenger door bin, Passenger vanity mirror, Power door mirrors, Power steering, Power windows, Radio data system, Radio: AM/FM Stereo/Single-CD Player w/Clock, Rear reading lights, Rear step bumper, Remote keyless entry, Security system, Speed control, Speed-sensing steering, Split folding rear seat, Steering wheel mounted audio controls, SYNC Voice Activated Communication & Entertainment, Tachometer, Tilt steering wheel, Traction control, Variably intermittent wipers. Awards: * 2014 KBB.com Brand Image Awards Visit us online at www.firstteamnissannrv.com. Good People, Great Values! 2014 Chevrolet Silverado 1500 LT LT1 *ONE OWNER...NO ACCIDENTS*, *BACKUP CAMERA*, *ALLOY WHEELS*, 4 WHEEL DRIVE, 10-Way Power Driver's Seat Adjuster, 110-Volt AC Power Outlet, 150 Amp Alternator, 4.2" Diagonal Color Display Driver Info Center, 40/20/40 Front Split Bench Seat, 4-Wheel Disc Brakes, Alloy wheels, Auxiliary External Transmission Oil Cooler, Black Power Adjustable Heated Outside Mirrors, Brake assist, Bumpers: chrome, Color-Keyed Carpeting w/Rubberized Vinyl Floor Mats, Delay-off headlights, Driver door bin, Dual front impact airbags, Dual-Zone Automatic Climate Control, Electric Rear-Window Defogger, Electronic Stability Control, EZ Lift & Lower Tailgate, Front anti-roll bar, Front Chrome Bumper, Front Frame-Mounted Black Recovery Hooks, Front Halogen Fog Lamps, Front License Plate Kit, Fully automatic headlights, Heated door mirrors, Heavy-Duty Rear Locking Differential, LT Convenience Package, Occupant sensing airbag, OnStar 6 Months Directions & Connections Plan, Overhead console, Passenger vanity mirror, Power door mirrors, Power Windows w/Driver Express Up, Radio: AM/FM 8" Diagonal Color Touch Screen, Rear 60/40 Folding Bench Seat (Folds Up), Rear step bumper, Rear Vision Camera w/Dynamic Guide Lines, Rear Wheelhouse Liners, Remote Vehicle Starter System, SiriusXM Satellite & HD Radio, Speed control, Split folding rear seat, Theft Deterrent System (Unauthorized Entry). Awards: * NACTOY 2014 North American Truck of the Year * 2014 KBB.com Brand Image Awards Since First Team opened our doors on October 3rd, 1988, we've been fortunate to become one of the most successful automotive dealership groups in the state of Virginia. From our humble beginnings as a Hyundai dealership (when most Americans didn't even know what a Hyundai was) to our new Hyundai, Genesis, Nissan, Volkswagen, Subaru and Prestige Collection dealerships today, we are proud to be the dealer with good people and great values for over 30 years! The First Team Internet Market Value Price (iMVP) is set by the Virginia market, not by us, so you get a fair, low price right up front! With iMVP, First Team uses a third-party source, Kelley Blue Book's Fair Market Value to automatically set our prices – so you're assured of getting a great price that's never misleading, with no hassles, no surprises. Priced below KBB Fair Purchase Price! NAVIGATION, BLUETOOTH, BACKUP CAMERA, 4WD, 3.73 Axle Ratio, 4-Wheel Disc Brakes, 6 Speakers, ABS brakes, Air Conditioning, Alloy wheels, AM/FM radio, Brake assist, Bumpers: chrome, CD player, Compass, Delay-off headlights, Driver door bin, Driver vanity mirror, Dual front impact airbags, Dual front side impact airbags, Electronic Stability Control, Front anti-roll bar, Front Center Armrest w/Storage, Front fog lights, Front reading lights, Front wheel independent suspension, Fully automatic headlights, GVWR: 6,350 lbs Payload Package, Illuminated entry, Low tire pressure warning, Occupant sensing airbag, Outside temperature display, Overhead airbag, Panic alarm, Passenger door bin, Passenger vanity mirror, Power door mirrors, Power steering, Power windows, Radio data system, Radio: AM/FM Stereo/Single-CD Player, Rear reading lights, Rear step bumper, Remote keyless entry, Security system, Speed control, Speed-sensing steering, Split folding rear seat, Steering wheel mounted audio controls, SYNC Voice Recognition Communications, Tachometer, Telescoping steering wheel, Tilt steering wheel, Traction control, Variably intermittent wipers, Voltmeter. Odometer is 19154 miles below market average! Awards: * 2016 KBB.com Brand Image Awards Visit us online at www.firstteamnissannrv.com. Good People, Great Values! 2018 Toyota Tacoma TRD Sport *ONE OWNER...NO ACCIDENTS*, *BLUETOOTH*, *BACKUP CAMERA*, *ALLOY WHEELS*, 4 WHEEL DRIVE, DOUBLE CAB, ABS brakes, Air Conditioning, Compass, Electronic Stability Control, Illuminated entry, Low tire pressure warning, Remote keyless entry, Traction control. Since First Team opened our doors on October 3rd, 1988, we've been fortunate to become one of the most successful automotive dealership groups in the state of Virginia. From our humble beginnings as a Hyundai dealership (when most Americans didn't even know what a Hyundai was) to our new Hyundai, Genesis, Nissan, Volkswagen, Subaru and Prestige Collection dealerships today, we are proud to be the dealer with good people and great values for over 30 years! The First Team Internet Market Value Price (iMVP) is set by the Virginia market, not by us, so you get a fair, low price right up front! With iMVP, First Team uses a third-party source, Kelley Blue Book's Fair Market Value to automatically set our prices – so you’re assured of getting a great price that’s never misleading, with no hassles, no surprises. 10 Speakers, 115V Auxiliary Power Outlet, 20" x 9" Polished Aluminum Wheels, 3.55 Rear Axle Ratio, 4-Wheel Disc Brakes, ABS brakes, Adjustable pedals, Air Conditioning, AM/FM radio, Anti-Spin Differential Rear Axle, Audio memory, Auto High Beam Headlamp Control, Auto-dimming door mirrors, Auto-dimming Rear-View mirror, Automatic temperature control, Brake assist, Bucket Seats, Chrome Tubular Side Steps, Class IV Receiver Hitch, Compass, Convenience Group, Delay-off headlights, Driver door bin, Driver vanity mirror, Dual front impact airbags, Dual front side impact airbags, Electronic Stability Control, Electronically Controlled Throttle, Emergency communication system, Folding Flat Load Floor Storage, Front anti-roll bar, Front Bucket Seats, Front Center Armrest w/Storage, Front dual zone A/C, Front fog lights, Front reading lights, Front wheel independent suspension, Fully automatic headlights, Garage door transmitter, Genuine wood dashboard insert, Genuine wood door panel insert, Heated door mirrors, Heated Front Seats, Heated front seats, Heated rear seats, Heated Second Row Seats, Heated Steering Wheel, Heated steering wheel, High Back Seats, Illuminated entry, Keyless Enter-N-Go, Leather Shift Knob, Leather steering wheel, Low tire pressure warning, Memory seat, Navigation System, Occupant sensing airbag, Outside temperature display, Overhead airbag, Overhead console, Panic alarm, Passenger door bin, Passenger vanity mirror, Pedal memory, Power 10-Way Memory Driver & 6-Way Passenger Seats, Power Chrome Trailer Tow Mirrors, Power door mirrors, Power driver seat, Power Lumbar Adjust, Power passenger seat, Power steering, Power Sunroof, Power windows, Premium Filigree Leather Seats, Protection Group, Quick Order Package 28K Laramie Longhorn, Radio data system, Radio: Uconnect 8.4 NAV, Rain Sensitive Windshield Wipers, Rear 60/40 Split Folding Seat, Rear anti-roll bar, Rear seat center armrest, Rear step bumper, Rear Window Defroster, Remote keyless entry, Remote Proximity Keyless Entry, Security system, Speed control, Split folding rear seat, Steering Wheel Mounted Audio Controls, Steering wheel mounted audio controls, Tachometer, Tilt steering wheel, Traction control, Trailer Brake Control, Trailer Tow Mirrors, Trailer Tow Mirrors & Brake Group, Trip computer, Turn signal indicator mirrors, Variably intermittent wipers, Ventilated Front Seats, Ventilated front seats, Voltmeter. 19/27 City/Highway MPG Visit us online at www.firstteamnissannrv.com. Good People, Great Values! *** 2018 Toyota Tundra***TRD 4X4 SPORT** SR5 4.6L V8 *ONE OWNER...NO ACCIDENTS*, *BLUETOOTH*, *BACKUP CAMERA*, *TRAILER HITCH*, 4 WHEEL DRIVE, BED LINER, 4 DOOR CREW MAX, 18" x 8J Styled Steel Wheels, 3.91 Axle Ratio, 3-Passenger Front Bench Seat, 4-Wheel Disc Brakes, ABS brakes, Anti-Theft Immobilizer w/Alarm, Auto High-beam Headlights, Auto-Dimming Rear-View Mirror, Brake assist, Brushed Stainless Steel Stepboards, Compass, Distance pacing cruise control: All-Speed Dynamic Radar Cruise Control, Driver vanity mirror, Dual front impact airbags, Electronic Stability Control, Exhaust Tip, Exterior Parking Camera Rear, Fabric Seat Trim, Front Bucket Seats, Front Center Armrest w/Storage, Front fog lights, Front reading lights, Front wheel independent suspension, Fully automatic headlights, Heated door mirrors, HomeLink Universal Transceiver, Low tire pressure warning, Outside temperature display, Overhead airbag, Panic alarm, Passenger door bin, Passenger vanity mirror, Power door mirrors, Power windows, Radio: Entune Audio Display AM/FM/HD w/CD Player, Rear seat center armrest, Rear step bumper, Remote keyless entry, SIRIUSXM Satellite Radio, Skid Resistor Bedliner w/Deck Rail System, Speed control, Split folding rear seat, SR5 Upgrade Package, Tilt steering wheel, Tundra Package #1, Urethane Tilt/Telescopic Steering Wheel, Variably intermittent wipers. Since First Team opened our doors on October 3rd, 1988, we've been fortunate to become one of the most successful automotive dealership groups in the state of Virginia. From our humble beginnings as a Hyundai dealership (when most Americans didn't even know what a Hyundai was) to our new Hyundai, Genesis, Nissan, Volkswagen, Subaru and Prestige Collection dealerships today, we are proud to be the dealer with good people and great values for over 30 years! The First Team Internet Market Value Price (iMVP) is set by the Virginia market, not by us, so you get a fair, low price right up front! With iMVP, First Team uses a third-party source, Kelley Blue Book's Fair Market Value to automatically set our prices – so you're assured of getting a great price that's never misleading, with no hassles, no surprises. Recent Arrival! 2019 Nissan Titan XD PRO-4X Since First Team opened our doors on October 3rd, 1988, we've been fortunate to become one of the most successful automotive dealership groups in the state of Virginia. From our humble beginnings as a Hyundai dealership (when most Americans didn't even know what a Hyundai was) to our new Hyundai, Genesis, Nissan, Volkswagen, Subaru and Prestige Collection dealerships today, we are proud to be the dealer with good people and great values for over 30 years! The First Team Internet Market Value Price (iMVP) is set by the Virginia market, not by us, so you get a fair, low price right up front! With iMVP, First Team uses a third-party source, Kelley Blue Book's Fair Market Value to automatically set our prices – so you’re assured of getting a great price that’s never misleading, with no hassles, no surprises.